Ok, so last week this happened: I trashed my book. Yep, ripped it apart. I could say ‘Just. Like.That.’ for dramatic embellishment, but far more thought than that went into it. It’s something that had been playing on my mind for a few weeks, but doggedly I kept writing. I had a schedule I wanted to keep and surely what I was contemplating was not something that I should be contemplating? When I talked about it we were in a mini bus heading out to Trang An – it’s an eco tourism complex of limestone karst peaks and grottoes. You sit in a boat and get rowed through the caves and valleys. It’s on the UNESCO World Heritage list and, located not too far out of Hanoi, absolutely worth a visit. Where was I? Yes, on the mini bus to Trang An and chatting to my girlfriend about the problems I was having with finishing I Want You Back. This particular friend is an avid reader – and has also been an early reader for me – so was the perfect sounding board for this particular conversation. Hers was an opinion I valued. If I’d stuck with that premise I might not be in the trouble I am today. The thing is, like us, characters don’t live in isolation. Yet when I brought Callie’s friends in to join the party – Alice Delaney and Tiffany Samuels – things got out of control. They had their own story and wanted to be heard too. Ok, I thought. I’ll make this an ensemble cast and seamlessly weave all three stories together. It will be like something that Cathy Kelly would do. How hard could it be? As it turns out, very hard indeed. More than that, it simply wasn’t working. I was writing third person – something that I feel removes me a bit from the head of my character – and the voice just felt wrong. ‘Maybe I should just write it as three books,’ I mused to my friend. There are quite a few people in the romance field doing that now: Anna Campbell is doing it very well with her regency widows series, Carole Mortimer does it very sexily with her Knight Security series, and I’ve just started reading some Kylie Scott as well. Being the wise friend that she is, we talked it through, but she didn’t agree or disagree with me. This had to be my decision. But, I had virtually finished and the book was due to my editor by the end of the month… WTF was I doing even thinking of making a change of this magnitude at this stage of the process? It wasn’t until I was on the overnight flight home from Bangkok that I did it. I started again to tell just Callie’s story…and I’m telling Tiff’s story…and I’m telling Alice’s. Three shorter books, tied together, to be written almost together, and released at 2 monthly intervals. That I’d learn more about both the craft of writing and the business of it with each project – and that doesn’t mean taking the easy path. In doing this, as crazy as it is, I’m honouring those promises to myself. 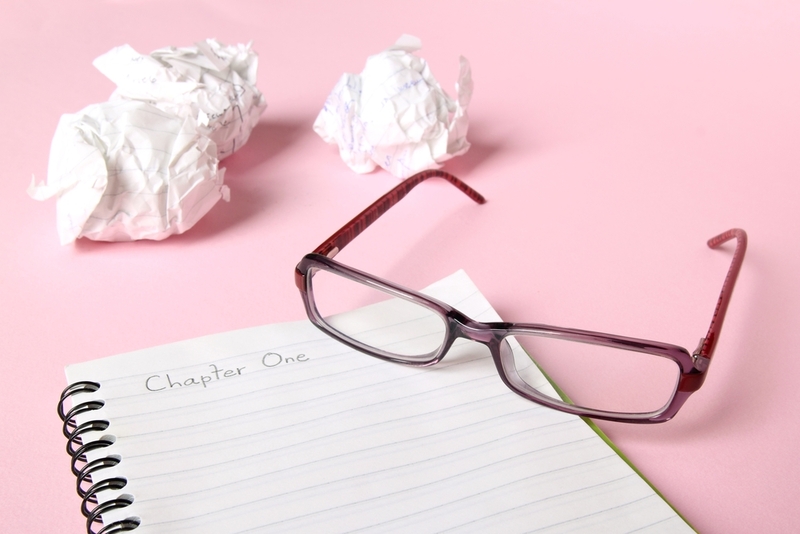 But then, after it had all been ripped apart – and before it’s all back together – I had to confess what I’d done to my editor…thankfully she understood and it hasn’t impacted her schedule too much. Oh, that is a big change, but it sounds like it feels like the right decision for you (and your characters). Linked novellas and episodic series are increasingly popular. I thought about trying to write about my time in Africa in some sort of weekly / monthly instalments (given I have all of the letters I sent home etc) but don’t really have any overarching story arc for my time there. I’m constantly impressed at how professional you are about all of this! I really really do envy your sense of direction and commitment. It doesn’t come naturally, Deb – I have to put the boundaries in place to have a direction. My natural state of affairs is to drift. I’m still not sure whether my decision was brave or stupid. Wow, what a tough decision! Sometimes taking some time away from a story allows us to come up with solutions to the problems. I’m glad you came up with something that would do justice to each of the characters in the story as it originally played out in your mind. Looking forward to hearing how it all pans out, Jo. As Deborah mentioned above, I too am in awe of your discipline. You have an editor lying in wait the moment you finish a manuscript?!! That’s amazing… and what a great form of motivation! I book myself a place in my editor’s schedule at the start of each year – it gives me a fixed deadline to work towards…otherwise I’d just drift. Plus, I’ve worked with Nicola for the last 3 books, & she gets what I’m trying to do – & she’s super busy, so if I didn’t do this (& keep to my deadline) she’d have no time for me. I’m hopeless with boundaries & discipline so have to do this stuff for myself. Actually, that could be the subject of a whole other blog post.